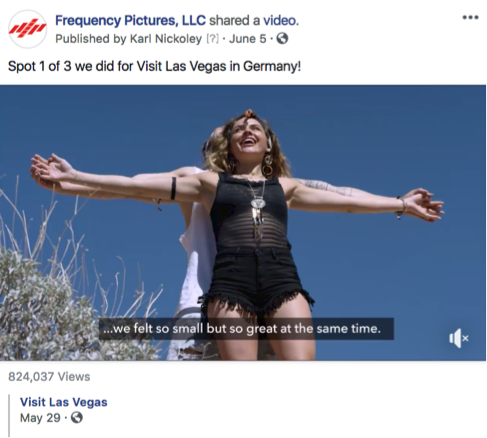 Visit Las Vegas teamed up with Frequency Pictures and hand-selected influencers to create a multi-brand campaign to educate the people of Germany and Switzerland about the destination. Through partnering with a group of influencers, Frequency Pictures and Visit Las Vegas told three stories about exploring Las Vegas; Love, Lifestyle, and Friends. 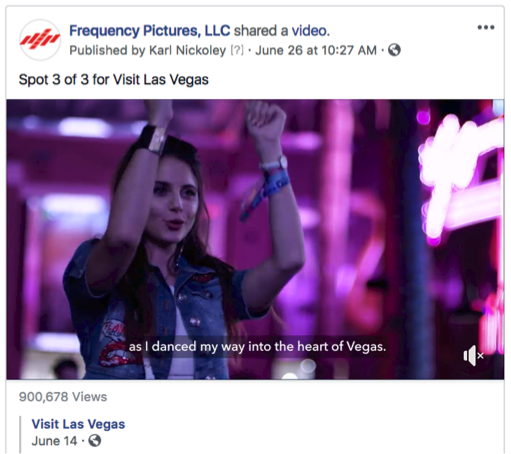 Utilizing multiple influencers in partnership with Visit Las Vegas, enabled Visit Las Vegas to expand their audience to reach people in their target demographic of 25-34 with a variety of unique messaging. 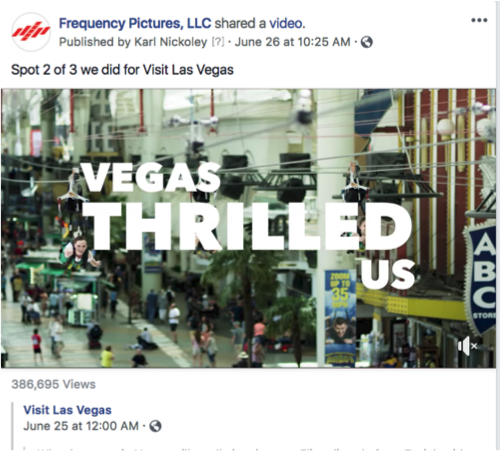 Strategic content mapping by Visit Las Vegas turned a week in Las Vegas into a 10-week long campaign with a fully-fledged ad campaign with retargeting and brand awareness objectives across 6 different channels. As a result, we saw a total of 683,613 post engagements, 2,398,226 video views, and 4,219,973 people reached in just the first 4 weeks of media placement.